Australian family favourites The Wiggles bring their Wiggle Fun Tour! to Melbourne Recital Centre this July. 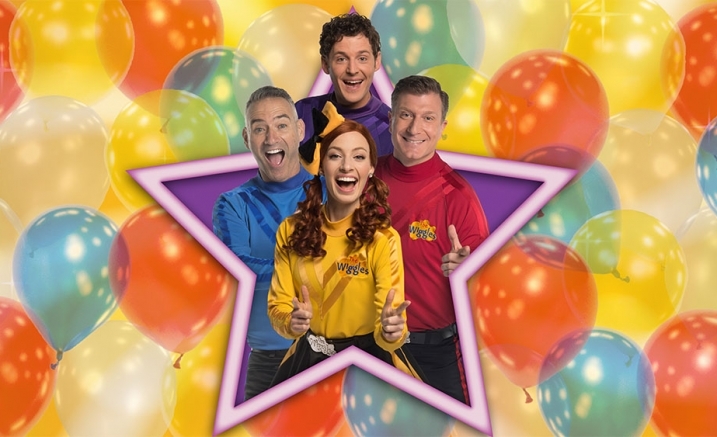 The Wiggles are back and performing for you as part of their Wiggle Fun Tour! This brand-new show sees Emma, Lachy, Anthony and Simon singing and dancing their way around Australia with all their Wiggly friends, including Captain Feathersword, Dorothy the Dinosaur, Wags the Dog, Henry the Octopus and their brand new friend, Shirley Shawn the Unicorn. This is your chance to experience all the fun of The Wiggles show in person. Join us and be a part of the Wiggle Fun Tour! With so many sold out shows last year, you better get a wiggle on and get your tickets now as tickets to the Wiggle Fun Tour! will sell like hot potatoes! The performance at 10am Sunday 7 July will be Auslan interpreted. You can book up to 6 tickets online. Please call the Box Office on (03) 9699 3333 to reserve 7+ tickets. Babies under the age of 12 months may attend this concert free of charge and be admitted without a ticket, on the condition that they do not occupy a seat and sit on the lap of a parent or guardian. Tickets for this concert will be in very high demand and you may be placed into our online ‘Waiting Room’ to purchase tickets. This helps ensure your website experience is as smooth as possible. Thanks in advance for your patience.